-2016 strikes again! 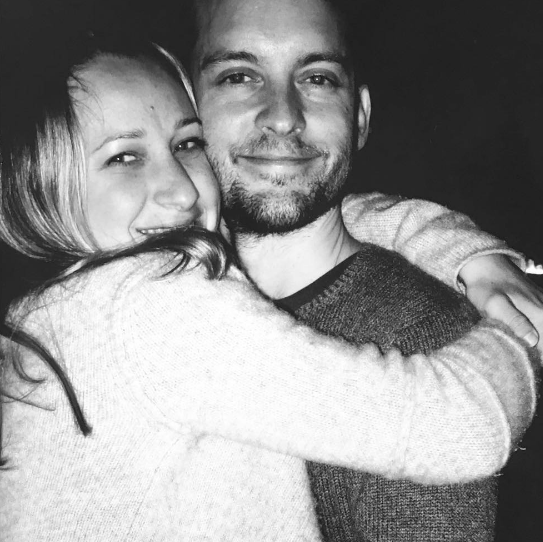 Tobey Maguire and wife Jennifer Meyer have split after nine years of marriage, which may explain all the blind items about him this summer. –Azealia Banks‘s rep released a statement saying she is “shell shocked and will speak out on the incident once she has had time to process the brutality and abuse she was unjustly subjected to.” Meanwhile, Russell Crowe sources say the rapper threatened him. -Emma Stone‘s Britney Spears impression is magnificent. Her recorder skills are a bit rusty, tho. -Can Black Mirror just drop already? The reviews are gushing. –Meryl Streep, Amy Schumer, Rose McGowan, Amber Tamblyn and more star in the latest anti-Trump ad. -This is an interesting reminder that there haven’t really been any big flops yet in this fall TV season. –Cobie Smulders spilled the beans (literally) on the next Avengers movie. -Is Jennifer Lawrence is dating director Darren Aronofsky? But…he’s so old! –Lindsay Lohan is mixing business with pleasure these days. –Shia LaBeouf insists he’s married. Sure. -Aww, guys. Billy Bush is really sad about leaving the Today Show. Muffin. -There are new Gilmore Girls photos. Jess! -Everyone one my Twitter TL got real excited about the new Assassin’s Creed trailer today. Good for them.